Wow, it’s cold at the moment! Definitely a multiple-pairs-of-socks time of year… And since there’s no way to wear multiple pairs of socks on your face (well, not while maintaining a normal social life), it’s also the time of year that I beef up my skincare routine a little bit to make sure my skin is protected from the cold. My morning and night routines are pretty different, but the main things for me are a) keeping it to a reasonable budget, and b) keeping faff to a minimum! No-one’s got time for a twenty-step routine! So here’s what I love using in my routine at the moment. I tend to wash my face in the shower in the morning, as it’s the quickest thing to do. I’ve heard that it’s not good for your skin to run the hot shower directly onto your face, so I try to just use my hands rather than pretending I’m under a waterfall… Morning face wash is where I incorporate exfoliating (although not every day), so if it’s a scrubby day I’ll use a little bit of Lush Let the Good Times Roll cleanser, which I adore (and reviewed here). If not, then I’ll use Lush Queen of Hearts soap, which is a gentle rose-scented soap that you can use on your face. I wish this was in the regular shop products, and not just in Retro, but I really like it. I then follow that up with a slick of Nivea Daily Essentials Express Hydration Primer, which I forgot to take a separate photo of, and which is definitely more of a moisturiser than a primer (reviewed here)! If my skin is feeling particularly dry, I might skip this and use a little of my night cream (see below) instead, as it’s not too heavy to sit under make up. At night, I prefer to use a creamy cleanser and toner rather than wash my face with water, and I am loving using the Boots Botanics All Bright Gentle Cleansing Cream and Cleansing Toner. These smell absolutely amazing, really floral and comforting, but are so soft and gentle to use. I’ve previously reviewed the cleanser, but love the toner too – my only issue with it is that it isn’t in a spray bottle. 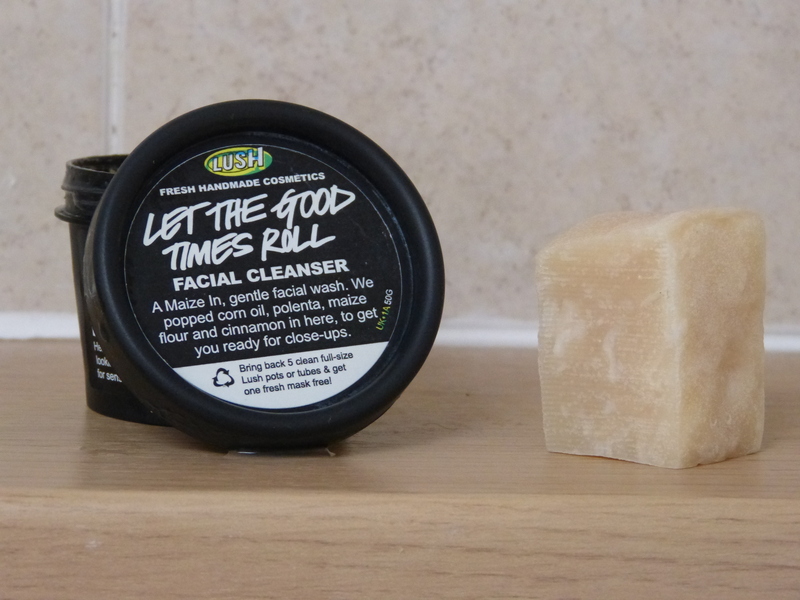 Using Lush Eau Roma for so long has got me used to spritzing my face, and now swiping with a cotton pad seems rather mundane! Then it’s time to restore moisture. Most nights, I use Nivea Pure and Natural Regenerating Night Cream. I’ve been using this as my night cream for a couple of years, on and off – I come back to it all the time, because it just seems to be the perfect thing for my skin. It’s neither too heavy nor too light, has a gentle fresh scent, and leaves my skin feeling just right. Once or twice a week, I top up the moisturisation with a spot of Origins Drink Up Intensive Overnight Mask, which I’ve recently discovered is an excellent overnight treatment, especially in winter (reviewed here). It’s already become a skincare staple for me, and I really look forward to nights I get to use it – is that a bit sad? Then finally, I always make sure to apply lip balm right before I go to bed – at the moment, I’m using Nivea Soft Rose lip balm, but I don’t have much of a preference when it comes to lip balm! When you get it all together, it looks like quite a lot, but I’ve found this is the simplest, quickest routine for keeping my skin happy! This entry was posted in Beauty and tagged beauty products, beauty review, cleanser, day cream, face mask, lush, moisturiser, night cream, Nivea, skincare, skincare routine, soap, toiletries, toner. Bookmark the permalink. 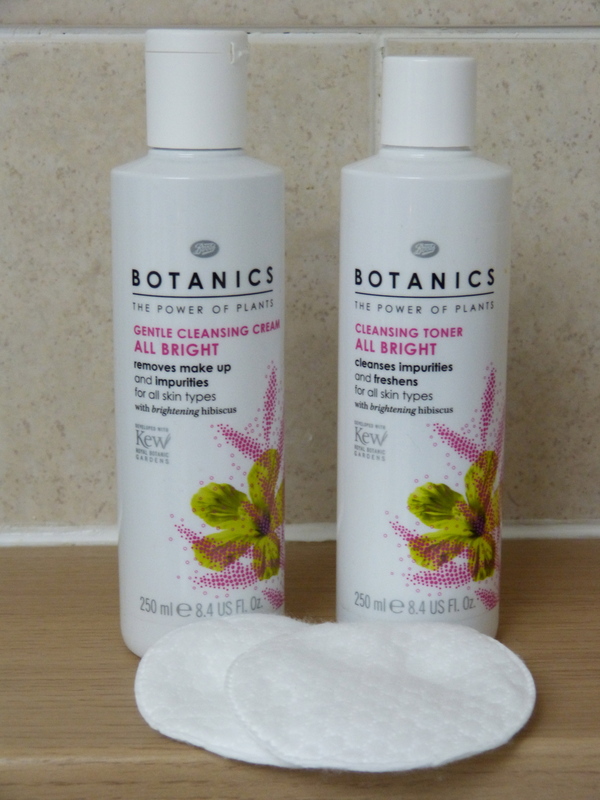 I have never tried the Boots Botanics cleanser and toner, but I use their day (‘soothing marshmallow’) and night (‘brightening hibiscus’) creams – they smell lovely, are very gentle, cost about £4 each and last for months! 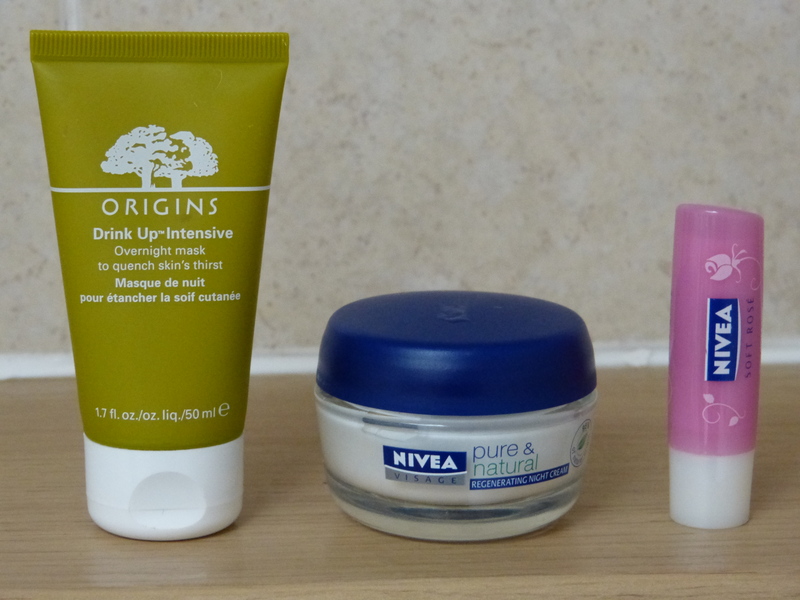 The brightening hibiscus cream is the same range as these products, and is definitely on my list of things to buy! It smells so good I keep hoping for frosty bitey-cold days so I can justify using it as a day cream too… by the way you inspired me to write a Lush wishlist instead of revising for part of today! They really are – I’m impressed by how nice they feel, for such a low price! All these look like they will be so lovely for these winter months, I need to start protecting my face against the harsh cold. Lovely post. Thanks! I need to update this, but I do like everything in it 🙂 Nivea is so good for being so cheap!